Micro-needling with PRP is an advanced technique used to reduce signs of aging in skin, wrinkles, skin impurities, acne scars, stretch marks, skin tightening and pigmentation marks and is great for all skin types. This treatment actually involves the use of two procedures, micro-needling and PRP (Platelet Rich Plasma). 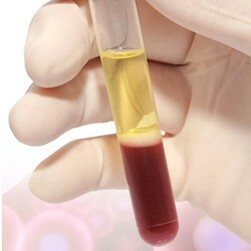 Platelet Rich Plasma is produced from an individual’s own blood. After a blood sample is obtained from a patient, the blood is put into a centrifuge, which is a tool that separates the PRP from the blood. The blood is spun for approximately 15 minutes. Needling triggers collagen production by using a pen with a small head that contains 10+ needles, it vibrates at high power, and at a certain depth, to pierce the superficial layer of your skin thousands of times over a few seconds. This process actually stimulates remodeling of existing collagen and promotes formation of new collagen and revascularization (blood vessels) in the skin. Upon arrival for treatment a topical numbing cream will be applied which will remain on the skin for 20 -30 minutes. A nurse will come into your treatment room a do a blood draw. The blood will be placed in a Centrifuge where it is spun to separate the red blood cells from the PRP. The PRP is returned to the treatment room to be used during the needling procedure. During the treatment, your esthetician will run a pen with vibrating micro needles across your skin in a circular motion poking micro holes into your skin which will cause pinpoint bleeding. Throughout the procedure the PRP is spread across the skin so it can be needled into the skin. The needles can be set at a variety of depth to offer treatments that range from non-aggressive to aggressive which is determined by the outcome the client is looking for. This duel treatment requires virtually no downtime because it does not disturb the outer-most layer of skin, while promoting healing and growth in the layers below. You may have a sunburn look post procedure, but our estheticians can apply a mineral based powder to your face immediately following the procedure. The day following your treatment you may not have any visible signs of a procedure taking place, however you may be swollen particularly in the orbital area. Some clients will peel three days post procedure.